Every year children are bitten by dogs, with the majority of bites being from dogs they knew. Sadly, many of those bites could have been avoided had the interactions of the dog and child been more closely supervised. It is not always the naughty or misbehaved child that provokes a dog to bite. In many cases, it is just the child behaving in regular childlike ways. But, some of these ways are not always welcome, nor are they understood, from a dog’s eye view. And, in that case, a dog may resort to biting as a means of defending himself. I sometimes notice children treating dogs similar to the way they treat other humans. But, just because a human loves hugs doesn’t mean a dog does, and just because humans share their food doesn’t mean a dog is willing to do the same. Furthermore, simple gestures of child playfulness such as rolling over onto a dog, taking a toy away to play fetch, or displaying extreme excitability can all be unwelcome behaviors as far as a dog is concerned. But, how confusing to a child! We can’t truly expect a child to know and understand the mind of a dog. But, we can provide them with education, guidance, and supervision when dealing with dogs. Some dogs are more tolerant than others, some have been exposed to children more than others, and some are certainly more easy-going by nature. But, any dog can bite when pushed to their limit, and it doesn’t take a mean dog to do it. 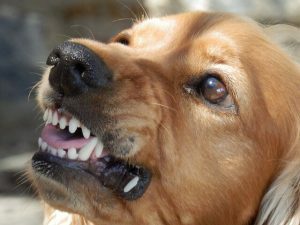 And, even though a nervous, fearful, stressed agitated or overwhelmed dog may display warning signs prior to biting, many people (especially children) won’t recognize the signs until it is too late. 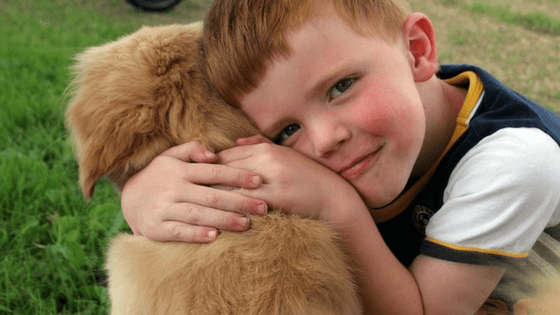 There are many photos and videos posted on the internet of children interacting with dogs in inappropriate ways…sitting on them, laying on them, petting or pulling at their faces, kissing them, hugging too tightly, etc. By most, they are considered adorable, but for those who know better, they are viewed as a bite just waiting to happen. Many times the dogs in those videos are displaying signs of discomfort, unbeknownst to their owners. And although these dogs are being incredibly tolerant, it doesn’t mean that they will continue to do so. Just as a human can lose their patience, so can a dog. Since a dog is unable to tell someone to stop, a bite becomes their only defense in getting someone to back off. It is difficult for children to recognize the warning signs of a dog that wants to be left alone. 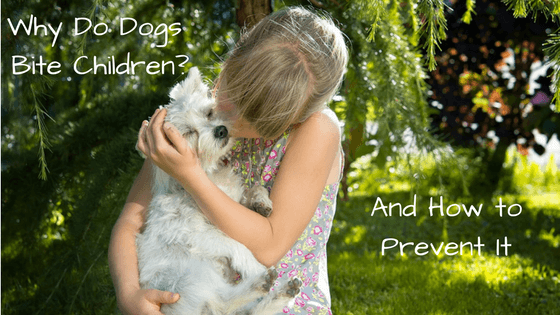 Therefore, very young children should always be supervised when they are around a dog. Even an older child will require supervision initially. Get children thinking about what is considered “rude” in a dog’s world. Teach them that dogs need to be respected just as they respect other people. Do not let a child scream, run erratically, or get over excited around a dog. Children should be taught the proper way to pet and handle a dog. Gentle petting only, no pulling ears, tail, facial area, etc. Do not allow a child to intentionally stare into a dog’s eyes just to see if the dog will look away. This can be misconstrued as dominance or become intimidating to a dog and they just don’t like it. Do not allow a child to kiss a dog’s face, put his face up against a dog’s face, or blow at a dog’s face. When my child was still a wobbly toddler learning to walk, he fell backward onto our dog. Taken by surprise, our dog growled and snapped at the air. It could have been worse. Supervise those wobbly toddlers! Monitor play always making sure neither dog nor child plays too rough. A dog’s crate is their sanctuary and when they are in it they should be left in peace. It is their special place they can go to rest and be left alone. A child should never be allowed to climb inside the crate or bother a dog while resting. 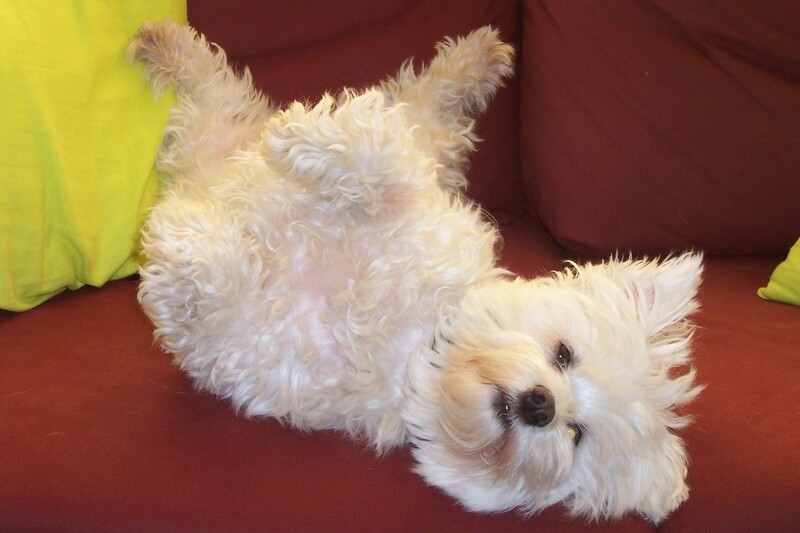 Dogs are cute and fluffy creatures and it’s no wonder children love to hug them. But not all dogs tolerate hugs well, especially tight hugs, and it can result in a bite. Dogs can be very protective of their food. Don’t allow children to put their hands in a dog’s bowl, or disturb a dog while eating. Also, beware of dogs being protective of their toys and bed. Teach a child to always ask first before petting a dog they are unfamiliar with. What Does it Mean When a Dog Wags its Tail? 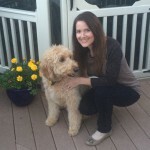 Is My Dog Playing or Fighting – How To Tell The Difference How to Socialize a Puppy The Development of a Puppy Why Do Dogs Like Their Bellies Rubbed? Now I know why the dogs bite children and I will follow the instructions to prevent that. Thanks for sharing!